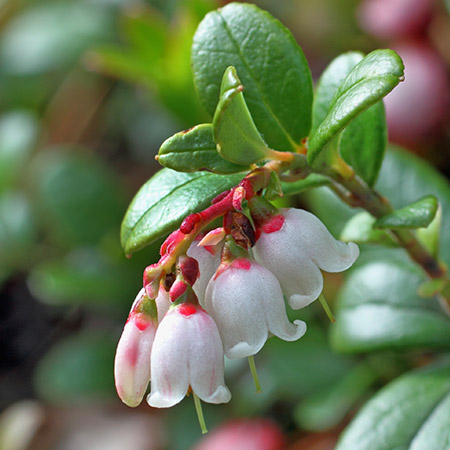 Lingonberry scientifically known as Vaccinium vitis-idaea is a short evergreen shrub that bears edible fruits. The lingonberry fruit, also known as foxberry, quailberry, bearberry, beaverberry, mountain cranberry, red whortleberry, lowbush cranberry, cougarberry, mountain bilberry, partridgeberry, redberry and alpine cranberry is native to boreal forest and Arctic tundra throughout the Northern Hemisphere from Eurasia to North America. 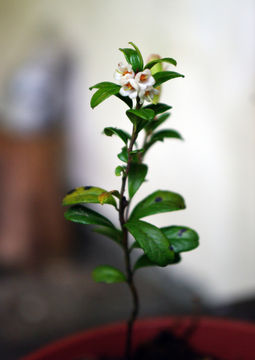 The plant belongs to heath family, the same family as the cranberry and blueberry. 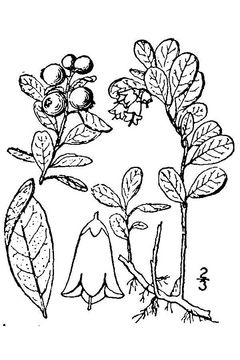 The name lingonberry originates from the Swedish name lingon for the species, and is derived from the Norse lyngr, or heather. 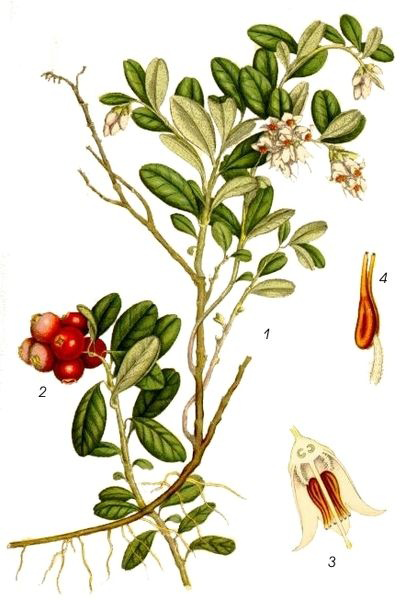 The genus name Vaccinium is a classical Latin name for a plant, possibly the bilberry or hyacinth, and may be derived from the Latin bacca, berry. The specific name is derived from Latin vitis (“vine”) and idaea, the feminine form of idaeus (literally “from Mount Ida”, used in reference to raspberries Rubus idaeus). Other berries such as blueberries, cranberries, and raspberries are more popular and well-known; lingonberries are gaining massive popularity in the world due to their health benefits. Lingonberries are smaller, juicier and slightly sweeter than their cousins – cranberries. They have been used for centuries both as food and as medicine. 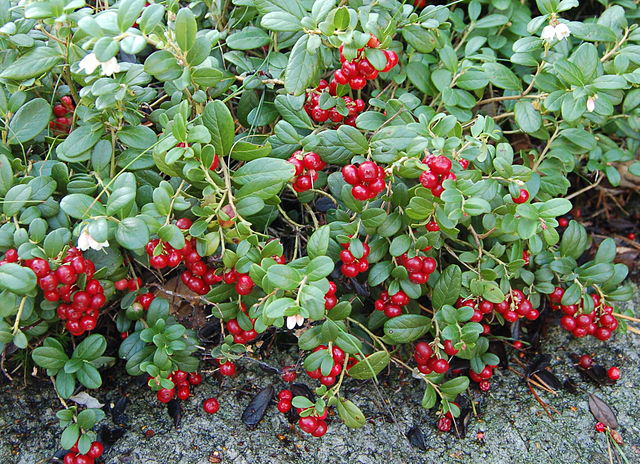 Also known as foxberries or cowberries, these tart red berries can be eaten raw or they can be processed into delicious lingonberry jam or syrup (popular in Sweden and other Scandinavian countries). When used primarily for their health benefits, lingonberries are also often juiced or ingested in supplemental form. Lingonberry is a low, creeping, evergreen subshrub that grows about 2 to 6 inches (5-15 cm) in height. It is normally found growing on exposed sites, such as windswept crags, bare headlands, rocky ledges, scree, sea cliffs, hilly rocky barrens, and mountain summits, high moors, heath barrens, sand dunes, and in peat lands, forest swamps, and bogs. In mature forests, plants often grow on top of decaying tree stumps. The plant prefers shallow, poorly developed mineral soil as well as on drained peat. Soils may be derived from a variety of parent materials; including sandstone, gneiss, granite, and glacial outwash sands and gravel. It typically grows in dense rhizomatous colonies and frequently forms mats. The plant has fine, shallow, fibrous roots, and may possess a taproot. The dichotomously branched rhizomes possess numerous hairs like roots. Maximum rooting depths of 2 to 11 inches (5-28 cm) have been reported. Stems are slender and trailing; stem morphology has been examined in detail. Leaves grow alternately and are oval, 5–30 mm (0.2–1.2 in) long, with a slightly wavy margin, and sometimes with a notched tip. They are bright green, leathery, glossy, thick, simple, obovate, oblong, or elliptic. Bottom side is covered with black dots. The green leaves turn purplish in fall. Flowers are bell-shaped arranged in drooping clusters, white to pale pink and produced in the early summer. Each flower measures up to eight millimeters in length and has four to five petals, which are fused to form a tube at the base. Flowering normally takes place from May and June. Fruit is a bright to dark red, globular berry approximately 0.2 to 0.4 inch (6-10 mm) in diameter. The four-celled berries are acidic to sour or bitter. Yellow, short-beaked seeds average 0.04 inch (1 mm) in length. 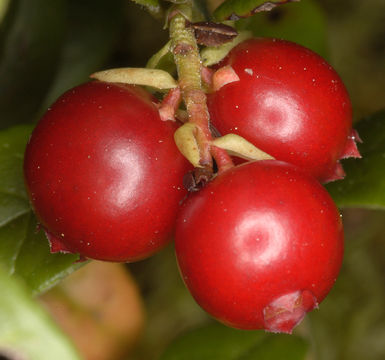 Although the berries might look attractive on bushes they are not good to eat in their raw state as they are quite bitter. They have shiny, rather hard skins when fresh, but they are transformed with a little sugar. Then they become quite sophisticated, as the combination of their natural bitterness with the sweetness from the sugar goes well with game, meat, fish and with several desserts. Apart from their acidic to sour taste, Lingonberry is a good source of nutrients, vitamins and minerals. Consuming 100 gram of Lingonberry offers 3.2 mg of Manganese, 2.4 mg of Vitamin B5, 11 mg of Vitamin C, 3.7 g of Total dietary Fiber, 11.5 g of Carbohydrate, 0.07 mg of Copper, 0.4 mg of Iron, 0.12 µg of Vitamin B-12 and 0.05 mg of Vitamin B1. Introduced in 1981, this is a very vigorous grower producing exceptional crops of large, light red fruits. It’s mild-flavored, in contrast to tart and tangy Koralle. 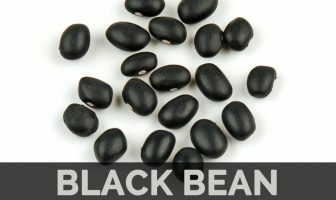 This Dutch variety is the most popular and provides most European commercial production. Attractive plants are upright and vigorous. The small to medium-sized fruits are highly flavored but somewhat tart. Often fruits of Koralle are blended with those of a more productive but mild-flavored variety such as Sussi. This recently introduced (1983) Dutch variety produces large, mild-flavored fruits and appears to have resistance to Phytophthora root rot. Fruits ripen one to two weeks earlier than Koralle. Selected by Dr. Elden Stang from seed collected in Finland, Regal is noted for its superior fruit size and early bearing. This new Norwegian introduction produces some fruit but is mostly noted for producing abundant pollen, which makes it a valuable pollinator. This Swedish variety is slow to establish but ultimately produces large red fruits abundantly. Lingonberries have been used as both food and medicine for centuries. Compared to any other berries, they are of no less value and it fights against the effects of a high-fat diet and blocking weight gain. Spaced out from that, they fight against diabetes and obesity as well. Coming to the nutritional profile of these berries, whole Lingonberries or the juices of it have been accepted to have certain beneficial compounds like Quercetin and proanthocyanidin which is also abundant in cranberries. Additionally, the leaves of Lingonberry have been shown to be full of bioactive compounds like arbutin- a phytochemical. In traditional Austrian medication the fruits have been managed internally as jelly or syrup for healing of disorders of the gastrointestinal tract, kidneys and urinary tract, and fever. Read on if you would like to know more about why you should be adding this little known berry to your daily diet. Researches have been proven that consumption of the Lingonberry on a regular basis can improve our brain function and helps to keep our mental health healthy, due to the presence of high amount of iron and potassium content in it. Iron helps to improve the red blood cells count in our body, which helps to improve the supply of oxygenated blood and nutrition to the brain, which is very necessary to our brain to perform the work efficiently. Apart from this vitamin C present in Lingonberry is also very beneficial to prevent the oxidative damage to our neurological cells caused by free radicals. Studies have been proven that consumption of Lingonberry on a regular basis can reduce the risk of Alzheimer’s disease. Like other berries such as blueberries and cranberries, the lingonberry is packed with powerful antioxidants. Antioxidants help protect the body from any cellular damage which is caused by free radicals in the body. They also protect us from some diseases and delay the inevitable signs of aging such as wrinkles. In addition to fortifying the body with antioxidants, lingonberries help restore the exhausted antioxidants in the body such as glutathione, referred to as the master antioxidant due to its role in fighting off a large number of diseases. Lingonberry is loaded with in dietary fiber, which is very good for our cardiovascular health and prevent various types of cardiovascular related problem such as heart attack, heart stroke, etc. Fiber helps to reduce the LDL cholesterol and increase the HDL cholesterol in our body, hence help in controlling cholesterol level in our body. Apart from this Lingonberry is highly rich in antioxidants, which protects our cardiovascular system from oxidative damage caused by free radicals. Lingonberry is highly rich in hypoglycaemic properties, which is very beneficial to prevent diabetes. Hypoglycaemic properties present in the Lingonberry help to promote the production of insulin in our body, which helps to slow down the sugar absorption in the blood stream, thus sugar level will control and reduce the risk of diabetes. Lingonberry is also very low in glycemic index, that means consumption of sesame seeds will not affect our sugar level, so those who are suffering from diabetes, they can consume this without any fear. Beside this Lingonberry is highly rich in dietary fiber, so consumption of Lingonberry can control our blood sugar level in our body. Lingonberry consists of high amount of vitamin C and vitamin A which is very helpful to improve our body immunity to fight against foreign invaders such as virus and bacteria. Vitamin C is a strong antioxidant, which fight against free radicals and protect our immune system from oxidative damage caused by free radicals. Apart from that it also helps to improve the production of white blood cells, which is an important part of our immune system. Researches have been proven that consumption of Lingonberry on a regular basis can prevent various types of common disease, such as cold, fever, flu, cough, etc. Lingonberry is highly rich in antioxidants, like vitamin C and Vitamin A, which is very beneficial for our overall health and also helps to prevent the risk of cancer. Antioxidant fights against free radicals and stabilized them so that they should not do any kinds of oxidative damage to our healthy cells, these free radical are the main cause of various types of cancer. Different research have been proven that consumption of Lingonberry can prevent the growth of the cancerous cells in our body and prevent the risk of various types of cancer, such as skin cancer, colon cancer, breast cancer, etc. 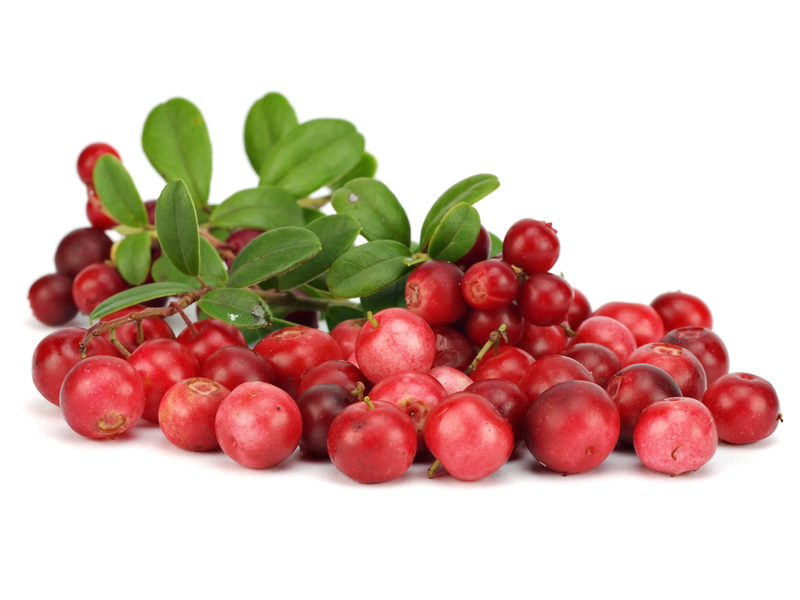 Lingonberries are touted as excellent cure for urinary tract infections. 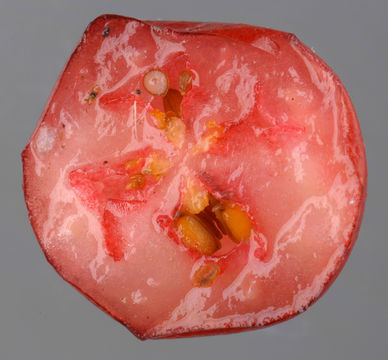 These pearly red, ripe berries are found to contain short-chained proanthocyans that is supposed to keep away the infection causing bacteria from sticking to the bladder wall. Lingonberry juice when taken along with cranberry juice frequently is likely to reduce the risk of urinary tract infection in women by forty percent. Tannins found in lingonberries help boost the blood vessel walls while resolving mineral metabolism and neutralizing toxins to improve digestion and tone up the body. They are a good solution for anyone suffering from indigestion. High amount of vitamin A found in Lingonberry is beneficial to improve our vision. Antioxidant fights against free radical and neutralized them so that they should not do any kind of oxidative damage to our eye cells, thus prevent in macular degeneration and age related eye problem. Beside this vitamin A is very beneficial for our retina. Studies have been proven that consumption of Lingonberry on a regular basis can improve our vision and prevent eye related disease, such as cataract. Periodontal disease is caused by chronic infection and inflammation of the gums. While it is a dangerous disease on its own, it can also lead to the development of other diseases such as cardiovascular problems and diabetes. Lingonberries have a strong antimicrobial activity against Porphyromonas gingivalis and Prevotella intermedia, the bacteria that are implicated in the development of periodontal disease. Their anti-inflammatory abilities also fight the bacteria that cause gum disease. Lingonberry is highly rich in calcium, which is very good for our bone health and prevent various types of bone related disease such as osteoporosis. Calcium is one of the most important mineral for bone; it helps to increase the bone density and helps in the growth and repair of bone tissue. Studies have been proven that those who are consuming calcium rich food such as Lingonberry, they have stronger bones and they have less chance of affected by bone related diseases such as osteoporosis. Apart from this Lingonberry also has Vitamin C, which helps to absorb calcium in our body, so that our body can use most of the calcium from the food. Leaves of the lingonberry plant contain high amounts of arbutin which is known to remedy hyperpigmentation and age spots. Arbutin is a phytochemical that inactivates tyrosinase, the enzyme that is responsible for skin pigmentation. Leaves of the lingonberry consist of high amounts of arbutin similar to uva-ursi which is known to remedy hyperpigmentation and age spots. Until lingonberries and their extracts start to populate the health food shelves, you will perhaps have to stick with more available products like uva-ursi and other products containing arbutin. High amount of natural antioxidants found in Lingonberry, such as zeaxanthin, helps to protect our skin from harmful UV rays. Apart from this vitamin C present in Lingonberry is also a strong antioxidants, which helps to prevent free radical to do oxidative damage to our skin cells and prevent various types of skin disease such as wrinkles, dark spots, acne, etc. In Russian folk medicine, lingonberry water was used as a mild laxative. In folk medicine, V. vitis-idaea has been used as an apéritif, astringent, antihemorrhagic, anti-debilitive, depurative, antiseptic (especially for the urethra), a diuretic, a tonic for the nervous system, and in various ways to treat breast cancer, diabetes mellitus, rheumatism, and various urogenital conditions. In traditional Austrian medicine the fruits have been administrated internally as jelly or syrup for treatment of disorders of the gastrointestinal tract, kidneys and urinary tract, and fever. Preparations made from the leaves were used to treat bladder problems, gout, and rheumatism. Medicinal fruit jellies were used to treat sore throats and colds. Arbutin, which is obtained from the leaves and stems, is used by the pharmaceutical industry in preparations used to treat intestinal disorders. Leaves are antiseptic, astringent, diuretic, refrigerant. Leaves are used in the treatment of gonorrhea, arthritis, rheumatism, diabetes and diarrhea. Mature fruits are eaten fresh or dried as a remedy for diarrhea and as a treatment for sore throats, coughs and colds. Juice has been gargled as a treatment for sore throats. Berries are quite tart, so they are often cooked and sweetened before eating in the form of lingonberry jam, compote, juice, smoothie or syrup. Raw fruits are often mashed with sugar, which preserves most of their nutrients and taste. Reindeer and elk steak is traditionally served with gravy and lingonberry sauce in Sweden and Norway. Preserved fruit is commonly eaten with meatballs, potato pancakes. Traditional Swedish dessert is lingonpäron (literally lingonberry pears), consisting of fresh pears which are peeled and boiled in lingondricka (lingonberry squash) and then preserved in the pear-infused lingonberry squash and commonly eaten during Christmas. In Sweden and Russia, when sugar was still a luxury item, the berries were usually preserved simply by putting them whole into bottles of water. 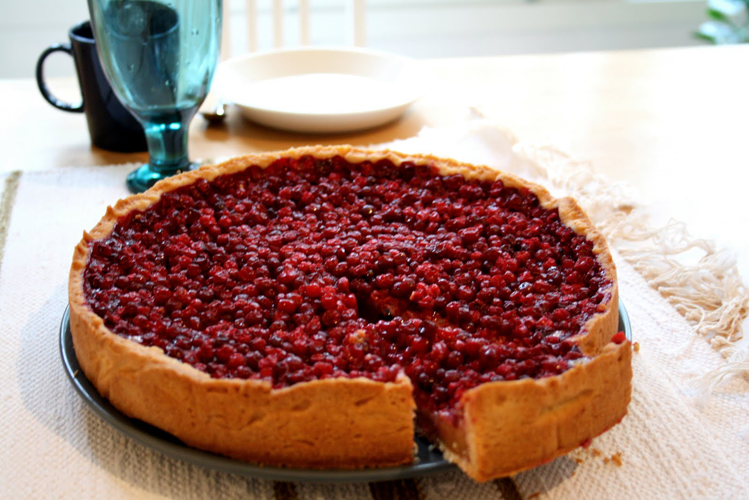 This was known as vattlingon (watered lingonberries); the procedure preserved them until next season. A traditional Finnish dish is sautéed reindeer (poronkäristys) with mashed potatoes and lingonberries, either cooked or raw with sugar. A porridge made from the fruit is also popular in Finland. Berries are often mixed with pears to create a sauce served with poultry or game in Poland. 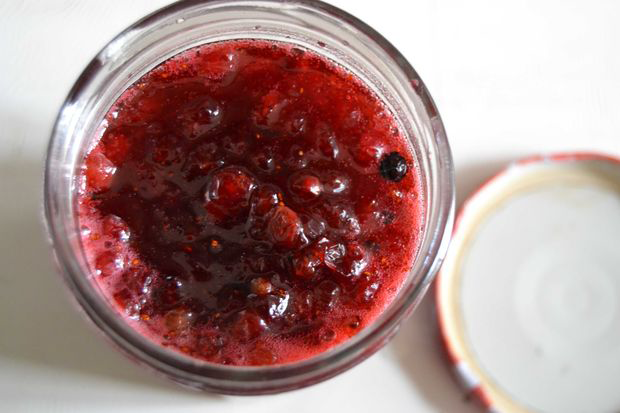 Berries can also be used to replace redcurrants when creating Cumberland sauce to give it a more sophisticated taste. Berries are included into jams, syrups, and baked goods, such as pies, scones, and muffins. They are used to make Lillehammer berry liqueur; and, in East European countries, lingonberry vodka is sold. Lingonberries are used in the manufacture of Lillehammer berry liqueur. Lingonberry water (mixture of lingonberries and water) is popular drink in Russia. 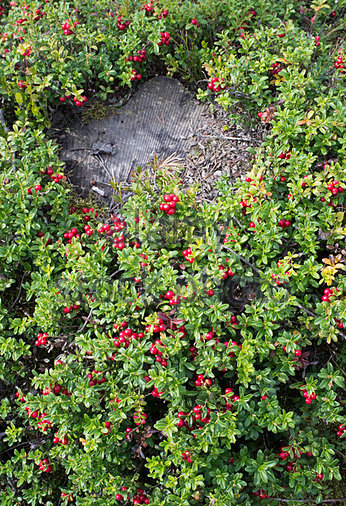 In most of the world, lingonberries are extremely difficult to find. At the moment, there are very few people growing the fruit but if you are lucky enough to find a fresh supply you should treat them in exactly the same way that you would treat more familiar berries like cranberries. First of all, get rid of any overly soft or browned berries and wash them thoroughly. Store your lingonberries and lingonberry products in the refrigerator. Lingonberries contain a high level of benzoic acid meaning that they keep well when they are refrigerated. Although fresh lingonberries are very difficult to find in the US, juices and jams made with the fruit are available in a growing number of locations. Place lingonberries in a medium pot with the water and bring to a boil. Boil for about 5–8 minutes. Remove any foam from the surface. Stir in the honey, add the peppermint and bring to a rapid boil. Allow it to boil for a few more minutes. Remove from heat and let it cool. Leaving about ¼ inch at the top, ladle the jam into sterile jars. Cover with the lids and screw on rings just tight enough to the point of tension. Place in a hot water bath, making sure they’re fully submerged, for 10 minutes to allow it to seal. Once all the jars have lids and rings, lower them into your canning pot. Make sure the jars are fully submerged, covered with about an inch of water. Allow the water in the pot to boil for 10 minutes. Then carefully remove the jars from the pot and allow them to cool. Store in a cool dark place without the rings. Once you have opened a jar, make sure to refrigerate. 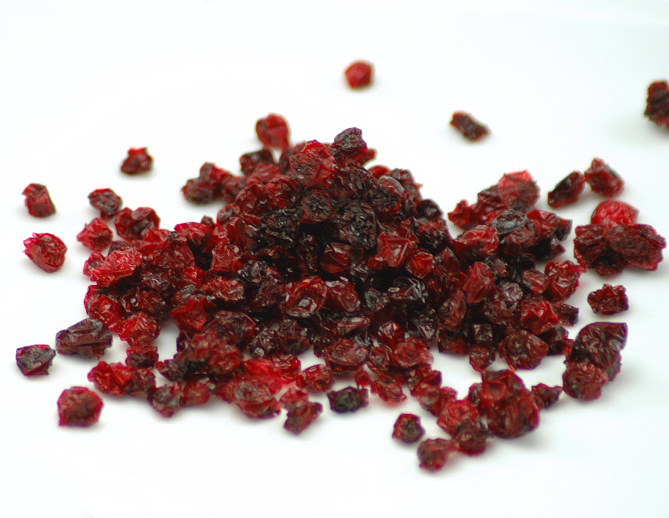 Many Native Americans and indigenous peoples of Eurasia used the leaves and fruit of mountain cranberry as food or medicine. Berries were often boiled and mixed with oil to facilitate storage for long periods. Mountain cranberry forms a dense, attractive mat and has been planted as an ornamental ground cover. 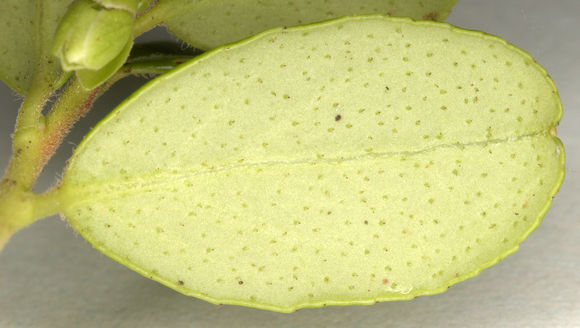 Yellow dye is obtained from the leaves and stems. 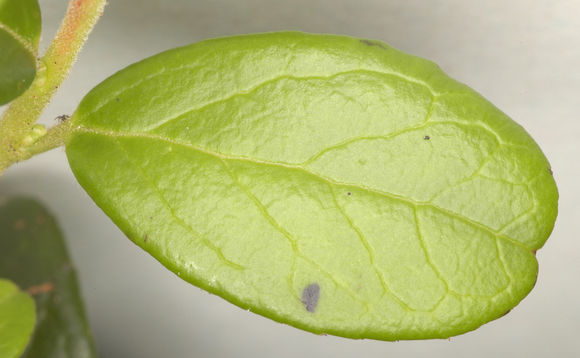 Purple dye is obtained from the fruit. Tea should not be drunk on a regular basis because it contains the toxin ‘arbutin’. 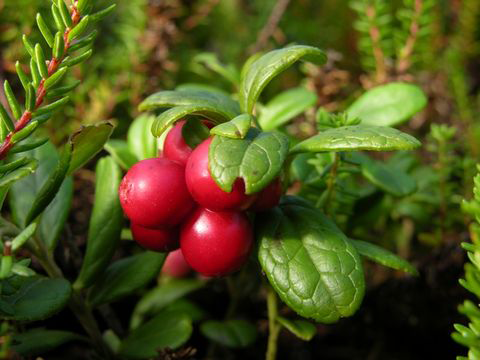 It may not safe to use lingonberry leaves for long periods of time. The leaves may cause nausea and vomiting. 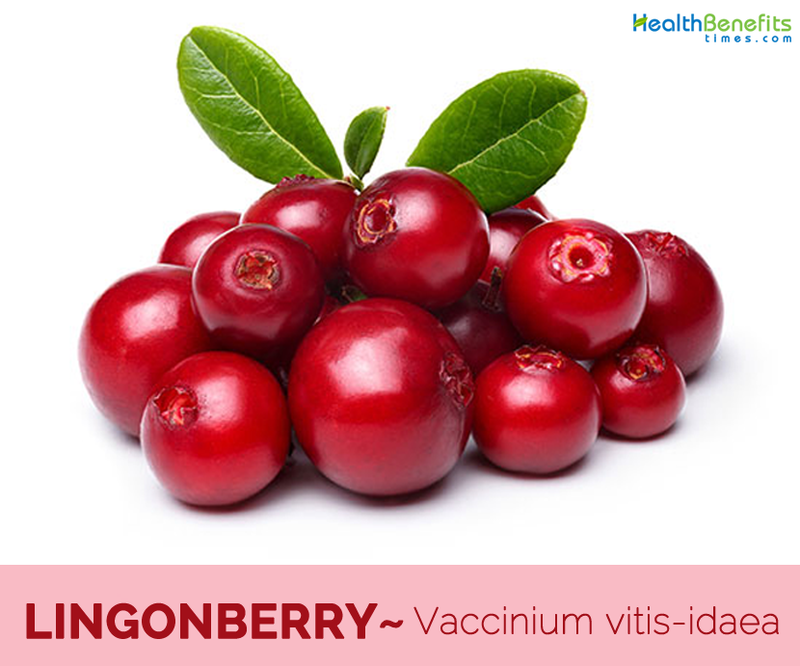 If you’re pregnant or breast-feeding, check with your doctor before trying Lingonberry. Calories 53 K cal. Calories from Fat 10.8 K cal.